In 1972 the Apollo astronauts captured an image of the earth rising above the lunar horizon that became a symbol for many of how dependent we are upon the only planet we have; helping to inspire the environmental movements of the 1970’s. But it has not been enough to prevent the imminent environmental catastrophe we now face and the onset of the Anthropocene: what we might consider as the next version of planet earth – Earth 2.0. More recently, NASA’s Kepler mission has revealed a planet, Kepler-452b, many light years from earth that scientists say is much like our own and could be habitable. It has been dubbed Earth 2.0 in the media. 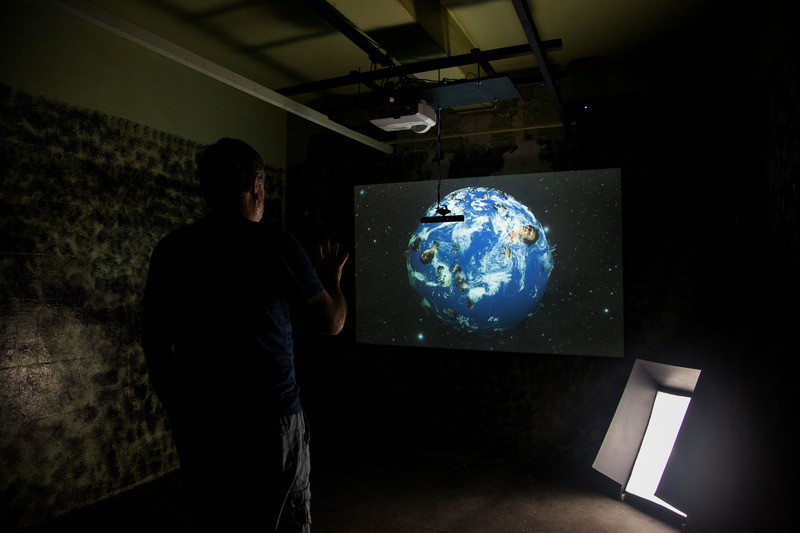 Through interactivity this artwork explores the question of what Earth 2.0 might look like once we ‘inhabit’ it. Viewers become controllers of a new earth and are able to embed themselves within it. What connections will they form with it or with each other given the chance for a new start. Exhibited in the Re:Location group show for the This is Not Art festival during October 2015 at The Lock Up gallery, Newcastle. Ummm … Interesting installation Andrew. How do you get time to do all this when you have been out of the country for 2 months! 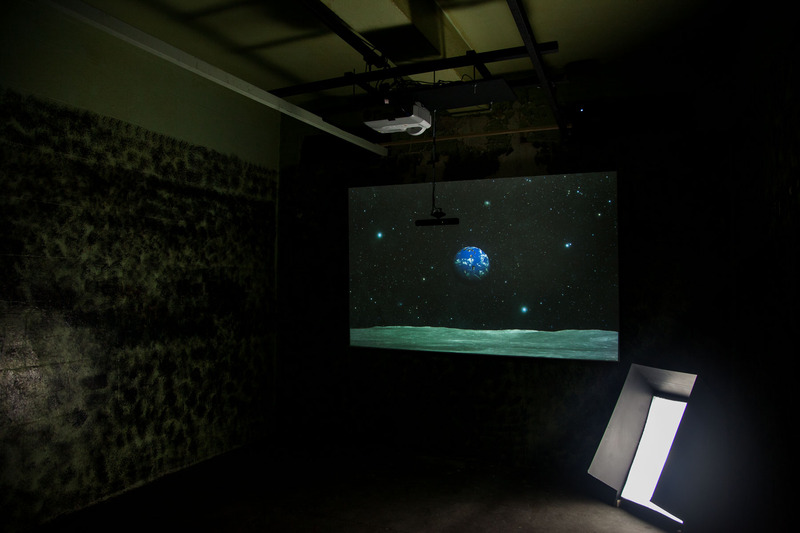 I’m sure Robert could embed a mountain or two if he put his face in the picture 🙂 I can’t see too many other creative additions to Earth 2.0 … I have missed ‘This is Not Art’ so will your installation be set up somewhere after October? You mean the top of Robert’s head?